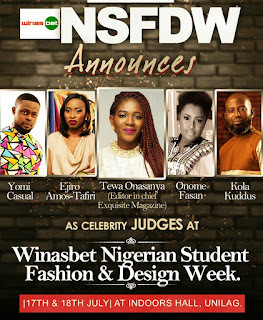 As the date draws near, the anticipation for the Winasbet sponsored Nigerian Student Fashion and Design Week is at an all-time high. sell their goods to their ultimate consumers. designer. She has gone on to participate in a number of top notch fashion weeks including the Africa Fashion week Nigeria. 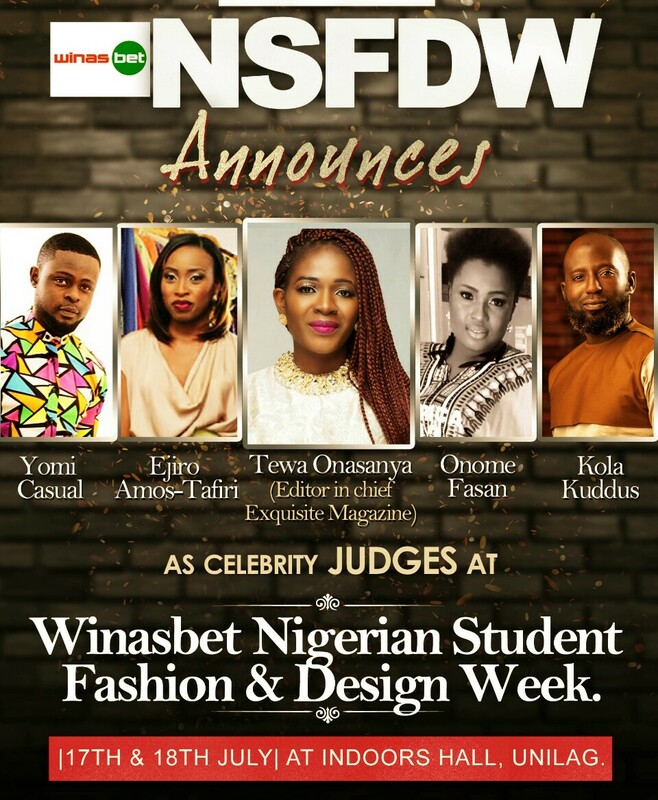 This year, Yomi Casual, Kola Kuddus, Ejiro Amos-Tafiri, Tewa Onasanya and Onome Fasan are the celebrity judges that will help in deciding who will emerge as the most creative designer. Alongside the glitz and glamour that naturally accompanies a fashion show, the audience will also be open to a week of fun, inspiration and a contractible flair for creativity as our designers are sworn to wow you at the event. Goodwill Ambassadors: Mr Ayodeji Olatokunbo, Dr Cecilia Arinye.